Our wedding planning checklist is to help make planning a wedding in Phuket just that little bit easier. You've found the man of your dreams and now it's time to start planning your dream destination wedding in Phuket. Although if you're like most women, you've probably been planning your dream wedding since you were a young girl. 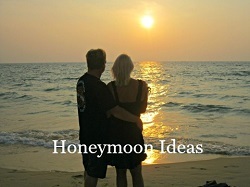 The following wedding planning checklist has been designed purposely for couples planning to get married in Thailand. Weddings are all about the celebration of love and sharing your special day with your nearest and dearest! What leads up to this beautiful occasion is a whole lot of planning and preparation to make sure everything is just right. Below are some handy tips to help you plan for your celebrations. As a starting point of your wedding planning checklist for a destination wedding in Phuket there are a few things that you should take into consideration. Have you chosen your preferred style of wedding? Would you like your wedding to be formal or informal wedding? Have you chosen your desired wedding setting? Have you decided on a date for your wedding in Phuket? Phuket’s northwest monsoon season starts in May through to the end of October. The weather in Phuket is best from November through to March, with April generally being one of the hottest months. 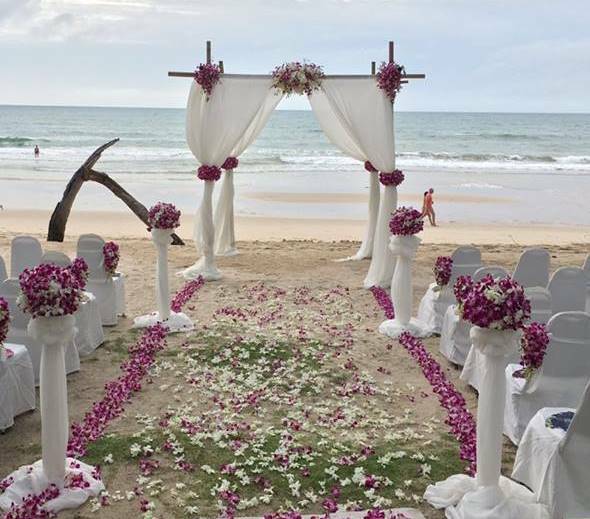 Do you know how many guests will be attending your wedding in Phuket? You will need to contact your guests as early as possible to get an estimation of who may be able to attend your dream wedding in Phuket. This will help when deciding what type of wedding package and venue best suits. As well as giving an estimate of numbers when speaking to the wedding Planner. 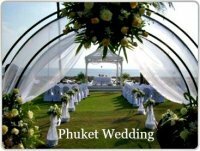 Phuket also has many festivals and events, check to see if there are any taking place at the time you intend to book your wedding. 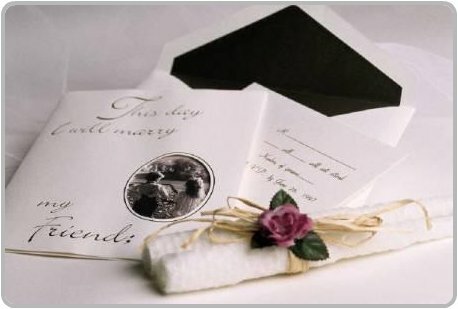 This may add to the charm and be an added bonus for your guests who are travelling abroad to attend your special day. For various reasons you will have guests who cannot attend your special day. It can be disappointing when someone close to you can’t be there to join in the celebrations. However, don’t take this personally remember you are asking them to make both a time and financial commitment to join you for your romantic wedding in Phuket. Have you found a wedding planner in Phuket? Planning your wedding from abroad can be stressful without the services of a reputable wedding planner to organise your special day. The wedding packages that you see on our website are all organised by a professional wedding planner in Phuket and is highly regarded in her field with years of experience and is an absolute delight to work with. She will be able to assist you with all aspects of your wedding planning checklist including the legal requirements to marry in Thailand. If you would like to contact the wedding planner to discuss your wedding planning checklist, you can use the contact form at the bottom of this page. If you are planning a legal marriage in Thailand, ensure you contact your Foreign Embassy or Consulate to confirm the legal requirements and documents necessary for getting married in Thailand. The legal requirements for getting married in Thailand are quite involved and the following information is intended as a guideline only; do not take this information as legal advice. If you choose to get legally married anywhere in Thailand, before your marriage ceremony can take place, you will be required to spend up to 3 days in Bangkok to complete the marriage registration process. This does involve a certain amount of paperwork and appointments at government offices, for this reason I would highly recommend using the services of a Wedding Planner to help you through this process. If you want to avoid spending the time in Bangkok, visiting embassies and filling out paperwork, you can always opt to have a low-key registry office wedding in your home country. Ensuring that everything is legal and binding and then you can enjoy your wedding ceremony in Phuket. If that isn't an option, then you will need to ensure you follow the correct legal procedures once you are in Thailand. 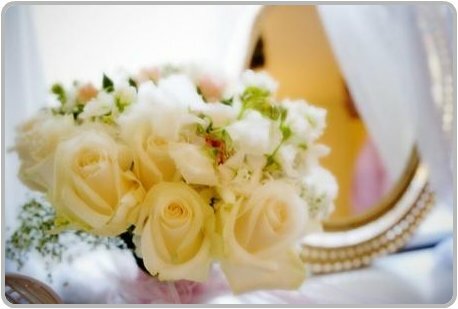 No wedding is complete without beautiful floral arrangements, hand crafted by a professional florist who will be able to guide you on the best choice of flowers to use for a wedding in Phuket. Finding a professional wedding photographer in Phuket from abroad sounds rather daunting, right! But it really doesn't have to be, You have probably already started searching the internet and have become overwhelmed with the amount of wedding photographers that are available. Let us introduce you to "Jaran" a professional and highly sought after photographer who lives in Phuket. Remember when putting your wedding planning checklist in place to research your favourite honeymoon location and ideas on places you and your partner would love to explore.